The 1980’s are back in style: from Straight Outta Compton to one of my favorite teevee comedies in a long time, The Goldbergs. I’m worried that Culture Club will experience a revival. Here’s a warning: if you sing Karma Chameleon at me, I will kick you where it *really* hurts. John Treen has never forgiven Vitter for his unrelenting attacks against his brother in that 1999 election, after Vitter and [former Governor] David Treen, at Vitter’s initiative, agreed not to attack each other. Keeping that deal was important for Treen, who was known among Democrats and Republicans alike for his honest and honorable approach to politics. Vitter, however, went on the attack, according to John Treen and two others who were part of that campaign, in fliers with different messages to white and black voters that the Treen campaign found far outside the bounds of fair play. Time for some background. In 1979, Dave Treen became the first Republican since Reconstruction to be elected Governor of Louisiana. 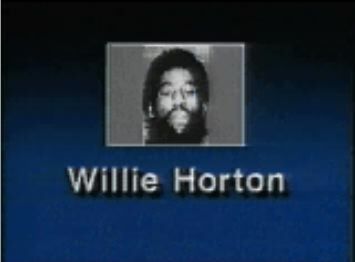 He was one of the founders of the modern Gret Stet GOP, but despite that was famous for being nice. I met Mr. Treen several times and he was a warm and friendly man who was appalled by David Duke’s rise to elected office. In fact, his brother John ran against Dukkke in the State House race that the Gret Stet Fuhrer Wannabe won. That happened (where else?) in Jefferson Parish in what many locals call da Metrys. This is all very incestuous. All of this reminds me of the 1988 Presidential campaign. Poppy Bush was viewed as a genial lightweight who sold his soul to Ronald Reagan to be Vice President. 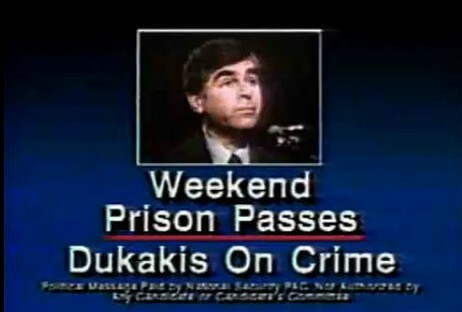 Michael Dukakis had a huge lead after the Democratic convention where he made a near fatal mistake by saying, “This election is about competence, not ideology.” It was a vestige of losing 4 out of 5 elections including 3 landslides. Strom Thurmond disciple Lee Atwater decided to throw that notion back in Dukakis’ face by running one of the dirtiest campaigns in American history. He got away with it because of the media’s “both sides do it” notion. We call it false equivalency now. As for my countryman, Michael Dukakis, he overestimated the intelligence of the American people and refused to respond to these attacks. That refusal was a dagger through the heart of the Dukakis-Benstsen campaign. It taught a generation of Democratic handlers to respond quickly to even the most specious attacks. A lesson that was forgotten in 2004, alas. That brings us back to Vitter’s “John Bel Obama” crime ad. It’s straight out of the ’80’s but will it work in 2015? In recent years, the worm has turned on the “tough on crime” laws passed during the Reagan and Clinton administrations. Many Republicans, including some damn conservative ones, are advocating sentencing reforms that will result in fewer non-violent drug offenders rotting in jail. The Vitter ad is, of course, not aimed at thinking people but at fake tough guy conservatives who are afraid of crime and think that all black folks are criminals. I’m not sure that this line of attack will be as effective in 2015 as it was in 1988. That will be one of the central questions that the runoff election will turn on. “This is what other states have down. We should not aspire to be number one in the nation in incarceration rates. I’ve talked to the Secretary of the Department of Corrections. (He says) that would require us to reduce our inmate population by 5,500, and then we’d be number two to Mississippi. I’m glad to see Mr. Edwards is prepared for incoming mud. Mudslinging is what Vitter has always done and it’s all he’s got left. We’re about to learn whether the OBAMA, OBAMA, OBAMA meme will work in a statewide, as opposed to a Federal, election in 2015. I have my doubts but I’ve been wrong before. Just remember: 50% plus one vote will win this election. Finally, my Louisiana comrade in arms, Bob Mann, has an excellent piece on this very subject at Salon. Check it out, y’all. I know that folks are sensitive to slurs or stereotypes of their states. I’ve heard Kansans, Texans, Floridians, and Carolinians (North and South) protest that the dickweed politicians coming out of their states don’t represent all the residents. Louisiana is no different, and I’ve learned a lot over the years about Louisiana from reading the posts here. So I pose this question in all seriousness and without trying to bad-mouth every Louisianan everywhere: Vitter is a practiced, veteran politician, using gutter tactics; why does he think this is a good move if Louisianans find such politicking distasteful? How confident is Vitter that these ads will push him over the 50% mark in the upcoming election? It may well work but he’s *extremely* unpopular right now. Plus his policies are *extremely* unpopular because they’re just like PBJ’s. I think it’s going to be a squeaker, that’s why I closed with the 50% plus one vote wins. Who turns out will, as always, be decisive. Obviously a little distracted — fyi, the little feline’s doing ok for now (he’s back home as of yesterday, with a second round of treatment next week) — anyway, to try to distract myself… Not that this is terribly original, and I guess it’s just repeating what you posted, but it’s now a matter of who voters hate worse — Vitter (and by extension, Jindal) or Obama. I’ll bet Edwards himself gets kind of lost in the fray. On the other hand, Mann, yourself, and others have a valid point — a solid GOTV drive in Orleans and EBR, combined with voters who just can’t stand Vitty (and I’m still wondering just who CAN stand him? Angry, bitter people, I guess); anyway, that combination could work. It’d sure be nice.